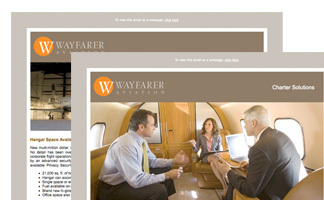 I recently redesigned a suite of service emails for a leading private aviation company, creating a coherent grid with more pleasing graphic elements. When the company changed it’s identity, I re-purposed the email templates. 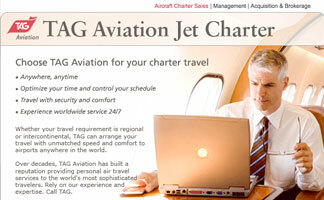 While at TAG Aviation USA, I redesigned their service promotional emails to be more cohesive with our new website design look and feel, utilizing the 2-3,000 newly shot marketing photos, which I managed and enhanced.